Apartment was built in 2002. Apartment was completely renovated in 2015. 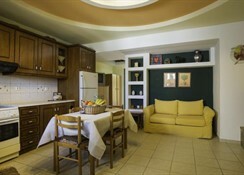 There are a total of 16 rooms on the premises. 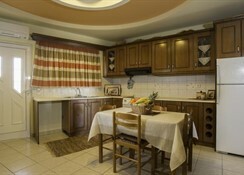 The property consists of 6 double rooms, 2 apartments, 6 triple rooms, 2 quadruple rooms and 2 family rooms. 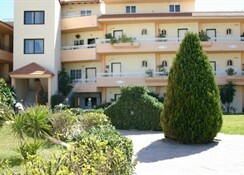 This attractive apartment complex is ideal for groups and families. The Apartment provides air-conditioning in public areas. The Apartment safe provides a secure place for guests to store valuable items. 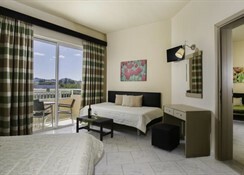 The Apartment offers a currency exchange for guest convenience. There is a handy minimarket on the premises for any last-minute needs, quick snacks or forgotten toothbrushes. Guests can appreciate the convenience of the onsite shop. There is a beautiful garden for guest enjoyment. 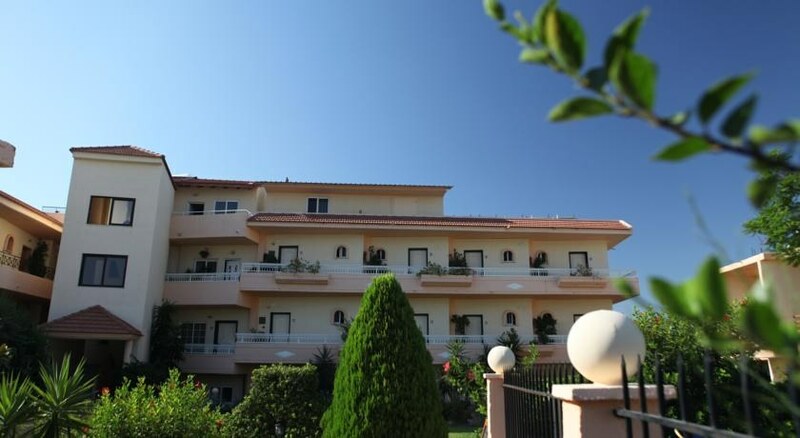 There is a delightful terrace where guests may relax and enjoy the warm sunshine. There is mobile phone coverage throughout the Apartment. Guests may take advantage of the Apartment 's Laundry service. In case of illness, guests can make use of the medical service. The property is wheelchair-accessible. Guests can make use of the Apartment 's bicycle storage area. The on-site car park may be useful to those arriving by car. Check-out is at 12:00. Guests can take advantage of the airport transfer service. Multilingual staff is available to help guests with any queries or service bookings. Security is provided 24 hours a day. Pets are allowed on the premises. The Apartment allows large pets.